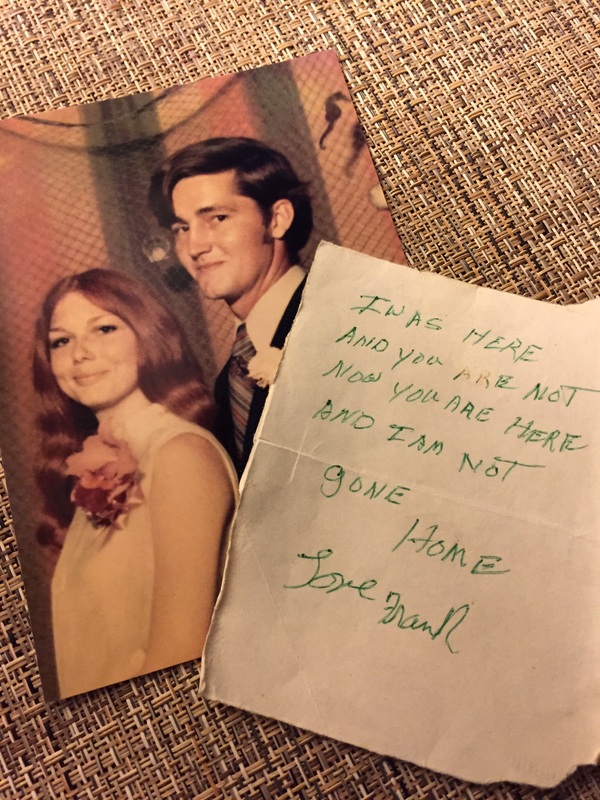 45 years ago my boyfriend stopped by my house after work and I wasn’t home. He left this note. I was sad that I had missed an evening of riding in the woods with him, and that he had already gone home. I knew I would see him again though. I was sixteen and he was twenty. We got married just four months after this picture was taken and were together until his exit to Heaven on November 7, 2014. I found this note while going through some keepsakes after Frank’s passing, and still feel the same as I did the first time I read it. I love you, too, Frank! Good morning Carese. Thanks for sharing such personal and poignant things with us. I love to read your writings! Love ya! Thank you. You are right. And I’m glad I saved the note. It means even more now. My heart knows how you feel. The memories come back strong and often. I miss Frankie, too. He was a sweetheart and one of a kind. Yes, he was. Thank you for your comment. Love you.